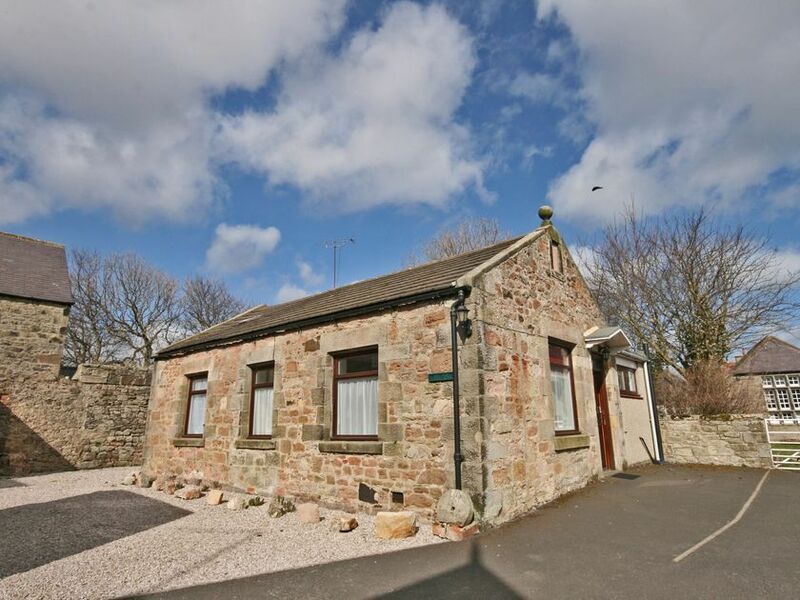 The detached stone cottage is situated in the centre of Bamburgh village up a private lane to the old school, close to shops, restaurants, pubs and about five minutes walk to the beautiful beach. Built in the 1800s, it was originally an infant school, then the village reading room and more recently a doctor's surgery (complete with a skeleton in the cupboard!). It is modernised for holidaying and the skeleton long since removed. Sitting Room. Dining area, two sofas, Freeview TV and DVD player, 2 pre-set electric heaters, coal effect electric fire, sideboard, tourist info etc. Bathroom. Electric shower over bath, heated towel rail, wall heater, pre-set electric heater. Kitchen. 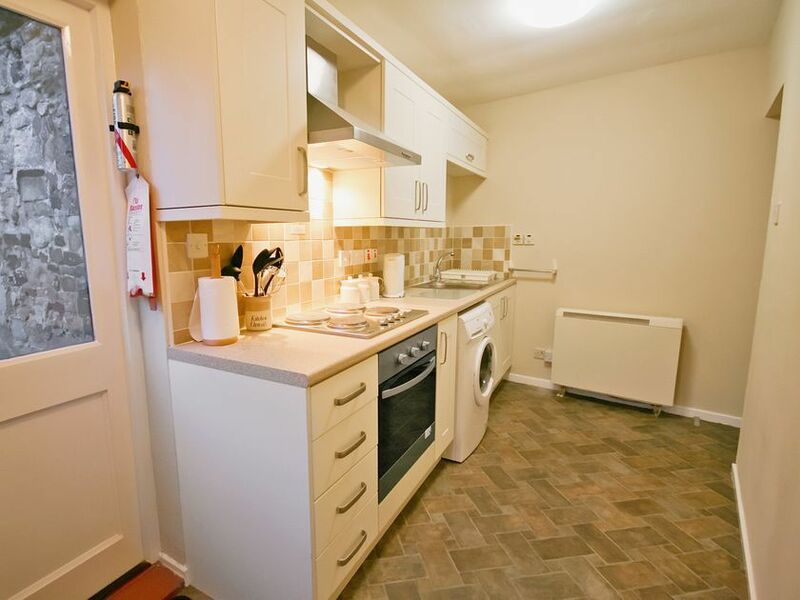 Fitted units with stainless steel sink, electric hob and oven, microwave oven, fridge, washing machine, toaster, all usual utensils, pre-set electric heater, door to small patio. Rear Patio. Stone walled and paved, flower beds, seats and table. Very sheltered and secluded. Garden shed for storing furniture, wind breaks etc. High Chair. High Chair available in cottage. Linen & Towels. Included, beds will be made up prior to your arrival. Sorry but no pets permitted and non smokers only.